The Be Inspired Business Awards – Further Recognition ! 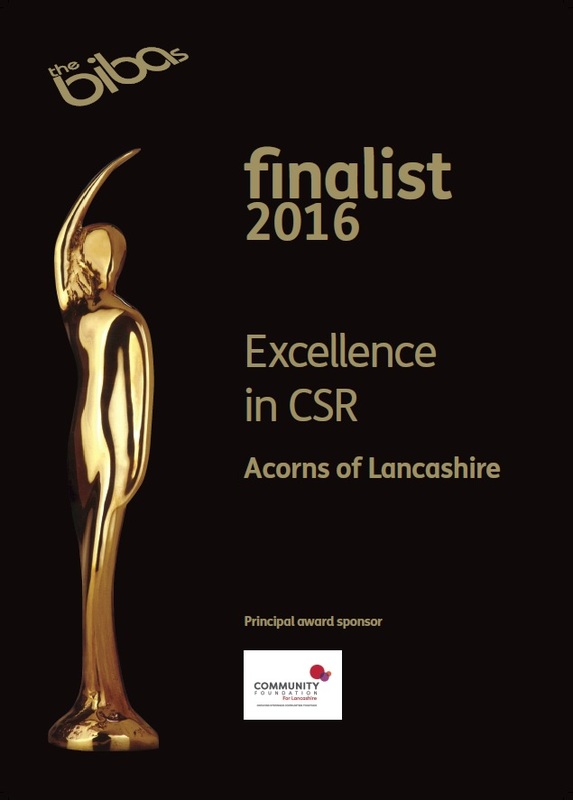 The Be Inspired Business Awards , The Bibas, have recognised Acorns of Lancashire within the CSR (Corporate and Social Responsibility) category. They have shortlisted us in the Excellence in CSR finals and awarded us a certificate for our dedication and commitment to the environment and the local community. As our process is environmentally friendly, it enables us to safely handle ‘Dry Clean Only’ items, without garments coming in to contact with any dry cleaning chemicals and neurotoxins, such as perchloroethylene. By using water and special biodegradable detergents, your clothes will stay softer for longer and will be much better for your skin, as well as the environment. Clothes feel softer, smell fresher and are greener ! We are also committed to supporting a number of local businesses, charities and organisations within the local community. We are truly focused on providing a better environment for our future and supporting the community who support us a business. Thank you !